Membre du Committee on Nutrition, North American Society for Pediatric Gastroenterology, Hepatology and Nutrition 2002-04. Présidente comité de Nutrition et de Gastroentérologie, Société Canadienne de Pédiatrie de 2006-12. Marchand V, Uflacker R, Baker SS, Baker RD. Congenital hepatic arterioportal fistula in a 3-year-old child. J Pediatr Gastroenterol Nutr 1999;28:435-441. Marchand V, Baker SS, Stark TJ, Baker RD. Randomized, double blind, placebo-controlled pilot trial of megestrol acetate in malnourished children with cystic fibrosis. J Pediatr Gastroenterol Nutr 2000;31:264-269. Marchand V, Motil KJ. Medical Position Paper, Nutrition Support for Neurologically Impaired Children : A Clinical Report of the North American Society for Pediatric Gastroenterology, Hepatology and Nutrition. J Pediatr Gastroenterol Nutr 2006;43:123-135. Marchand V, Lowell H, Point de Pratique: Le Nouveau Guide Alimentaire Canadien. Pediatric and Child Health 2007; 329-332. Castilloux J, Laberge AM, Martin SR, Lallier M, Marchand V, “Silent” Tyrosinemia Presenting as Hepatocellular Carcinoma in a 10-year-old Girl. J Pediatr Gastroenterol Nutr 2007; 44(3) :375-377. 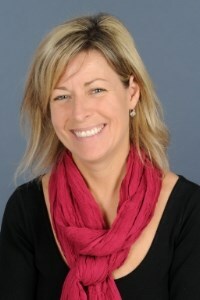 Marchand V, Head of the Nutrition Committee et al, Canadian Paediatric Society, Nutrition and Gastroenterology Committee. Practice Point Concerns for the use of soy-based formulas in infant nutrition. Paediatr Child Health 2009;14(2):109-113. Marchand V. Nutrition in neurologically impaired children, a statement by the Nutrition and Gastroenterology Committee of the Canadian Pediatric Society. Paediatr Child Health 2009; 14: 395-402. Touzin K, Guichard A, Beauchamp D, Lemieux D, Marchand V, Buissières JF. Revue d’utilisation rétrospective du cisapride dans le traitement du reflux gastro-oesophagien et des troubles de motilité gastrique en pédiatrie. J Pharm Clin 2009; 28 (4) 1-8. Marchand V. Promoting optimal monitoring of child growth in Canada: Using the new World Health Organization growth charts - Executive Summary. Letter to the editor. Paediatr Child Health, 2010; 15 (5): 258. Willot S, Marchand V, Rasquin A, Alvarez F, Martin SR. Systemic progression of type IV glycogen storage disease after liver transplantation. J Pediatr Gastroenterol Nutr. 2010; 51 (5): 661-4. D Secker, C Armistead, L Corby, M de Groh, V Marchand, LL Rourke, E Misskey, Canadian Paediatric Society/Société canadienne de pédiatrie, Adolescent Health Committee/Comité de la santé de l'adolescent Promoting optimal monitoring of child growth in Canada: Using the new World Health Organization growth charts - Executive Summary. Paediatr Child Health, 2010; 15: 77-83. Marchand V. Trans fats, what physicians should know, Practice Point, Nutrition and Gastroenterology Committee, Canadian Paediatric Society. Paediatr Child Health 2010; 15 (6): 373-378. Marchand V, Head of the Nutrition Committee et al, Human milk banking. Position statement. Canadian paediatric Society, Nutrition and Gastroentrerology committee. Paediatr Child Health 2010; 15 (9) : 595-602. Marchand V, Head of the Nutrition Committee et al, Infantile colics : is there a rôle for dietary intervention? Practice point by the Nutrition and Gastroenterology Committee. Canadian paediatric Society. Paediatr Child Health 2011; 16 (1) : 47-52. Marchand V. The toddler falling off the growth chart, a Practice Point by the nutrition committee of the Canadian Pediatric Society. Paediatr Child Health 2012; 17 (8) : 447-454. Leung A, Marchand V, Sauve R. The picky eater : The toddler or preschooler who does not eat, a Practice Point by the nutrition committee of the Canadian Pediatric Society. Paediatr Child Health 2012; 17 (8) : 455-460. Thibault M, Nguyen C, Marchand V, Le rôle de l’huile de poisson (Omegaven®) en alimentation parentérale pédiatrique. Pharmactuel 2012; 45 (2) : 137-141. Samuels M, Majewski J, Marchand V,et al. Exome sequencing identifies mutations in the gene TTC7A in French-Canadian cases with hereditary multiple intestinal atresia. J Med Genet 2013; 50 : 324-29. Roy C, Groleau V, Beaunoyer M, Marchand V. Clinical problem-solving: short bowel syndrome in an infant. Paediatr Child Health 2013; 18(7) : 357-359. Roy CC, Groleau V, Bouthillier L, Pineault M, Thibault M, Marchand V. Short bowel syndrome in infants : the critical rôle of luminal nutrients in a management program. Appl Physiol Nutr Metab 2014; 39(1) : 1-9. Fernandez I, Patey N, Marchand V, Birlea M, Maranda B, Haddad E, Decaluwe H, Le Deist F. Multiple Intestinal Atresia With Combined Immune Deficiency Related to TTC7A Defect Is a Multiorgan Pathology. Study of a French-Canadian-Based Cohort. Medicine 2014; 93, (29), e327.